At the Samurai Palace in Alella, HJAPÓN manages the finest and most exclusive properties in Barcelona. This is undoubtedly an innovative step and concept that exists in the current real-estate sector which brings great value to the client. When they visit us for the first time at the Samurai Palace in Alella they are left impressed. We have a gorgeous building of two levels with private parking and with an entrance that provides a pleasant and calming atmosphere thanks to the sound of water. The Palace’s main facade is guarded by two beautiful Japanese lanterns that opens into the main office that is welcomed by a Samurai, calming aromas and background music that takes us back to the ancestral land of Japan. 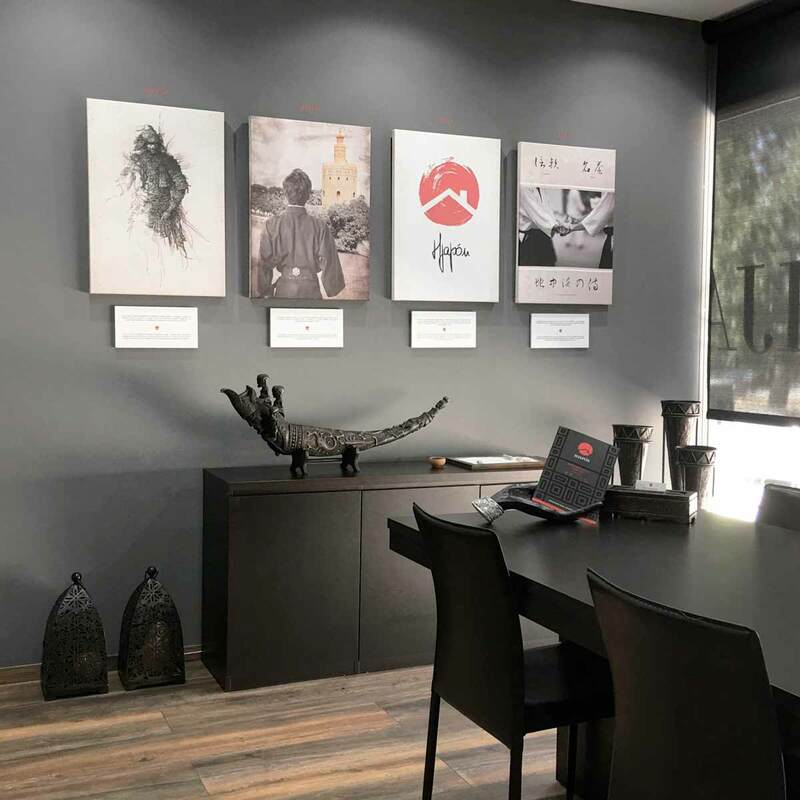 From here we move into the “DATE MARU” room where you find the main team ready to serve our clients and provide the best strategies for selling, buying, or renting exclusive properties in Barcelona. Honour, Value, Respect, and Humility are the pillars that characterise our capable and efficient team of Mediterranean Samurais. There is also a large map of the world that symbolises our international presence, along with the phrase “The word Samurai signifies to serve or the one that serves”. Following on, we see that the client is taken into the HASEKURA room where we honour 400 years of Japanese philosophy and our Samurai origins. 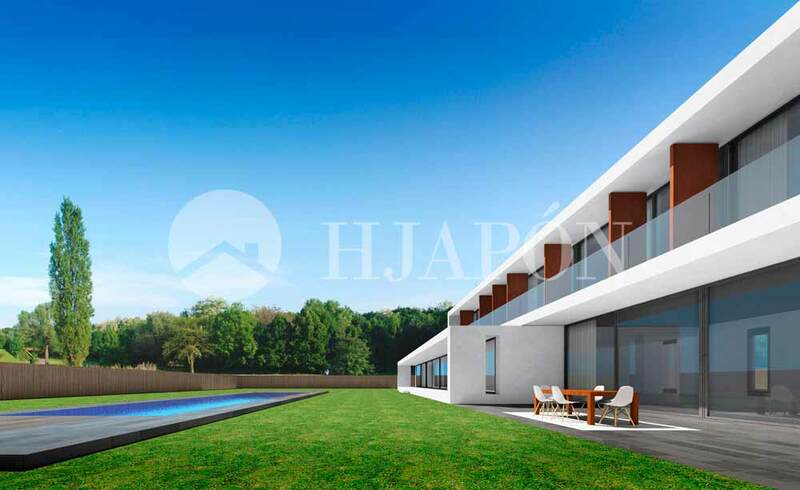 This is where our client understands and appreciates the way we work at HJAPÓN that makes us the finest luxury real-estate agency in Alella and on the coast of Maresme. From this point in the Palace we can see the “Bushido” room where one gets the sense that strategy is the weapon of the warrior, and exactly where we organise group meetings, as well as training every member of our expert team. At the back of the room is the magical “HANAMI” room where the overall sense is of inspiration and meditation. This area is reserved for the most exclusive clients and is where we pay homage to the perfect flower, the SAKURA. One can spend their whole life searching for one single flower and not even one second can be considered as wasted. To access the second level of this exquisite Palace in Alella, one needs to go through the DATE MARU room, or go from the outside. This floor is reserved for the new synergies taking place within the firm, specifically the DREAM HOME PROJECT. Here our expert team dedicated to the project carry out the marketing and publicity strategies, including photography, design, public relations, and legal…All this just to ensure that we serve our clients to the highest level. In short, we are creating and promoting an impressive and cutting-edge philosophy in the real-estate sector. Without a doubt, our excellence and exclusive attention to detail with our clients is what makes us the finest luxury real-estate agency on the coast of Maresme.